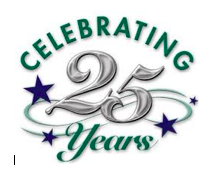 Habitat for Humanity is celebrating 25 years in 2015! As part of the celebration, the Fostoria chapter is planning a golf outing on September 11 and a Fall Festival on September 12. The golf outing will take place at Fostoria Country Club on Sept. 11 with kickoff at 12:30 p.m. The Fall Festival will be Saturday, September 12 from 11 a.m. to 3 p.m. in Downtown Fostoria, There will be something for the whole family to enjoy at the festival. Sign-up your team for the golf outing or learn more about become a festival sponsor by downloading this form.